Clio is located on the campus of Paris-Sud University in Orsay. Which puts it about 30 minutes from the center of Paris by public transport. The Infrared Laser Center of Orsay (CLIO) is a light host, at the disposal of the scientific community since 1992. Until 2005, CLIO was one of the sources of LURE, the national synchrotron light center. At the closing of LURE, CLIO became a component of the LCP. CLIO infrared laser facility is a linac based free-electron laser delivering tunable and powerful infrared radiation in short pulses. Its tuning range spans now from 3 to 150 µm. 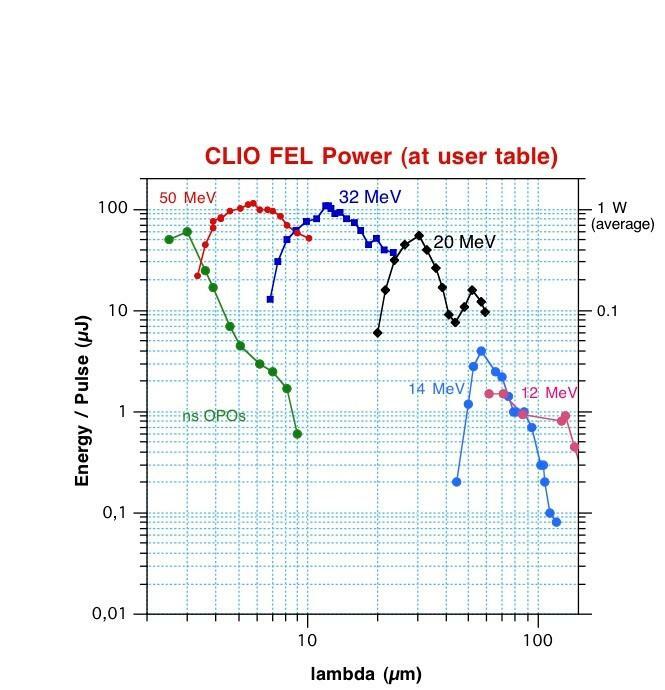 Complementary, Optical Parametric Oscillator (OPO) systems are also available at the CLIO facility, backing up the FEL for short wavelength operation (2-10 µm) and kinetics involving pump-probe operation with different colors. The time structure of CLIO is composed of 10 µs long train of pulses ("micropulse"), each "micropulse" being usually a few picoseconds long. In addition, the two-colours capability of CLIO is almost unique in the world, allowing two-colours pump-probe experiments tested up to 35 µm . The proposals are reviewed by an international Programm Committee. The use of CLIO is free of charge for the academic community. Under the CALIPSOplus programm of the European Union, travel and living expenses may be refunded for researchers working in one of the States of the Community or Associated States, or in any foreign state, under certain limits. There is a call for projects per year for standard projects whose submission deadline is January 5th of the current year.